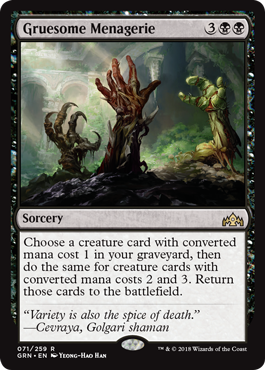 If you end up with a couple of good 1-drops, this goes from mediocre playable to quite exciting, so keep an eye out. It’s hard to set this up, but the reward is there, and getting a card and mana advantage is well worth spending 5 mana on. It also combos nicely with surveil, as you won’t need to have ever cast creatures before playing this.